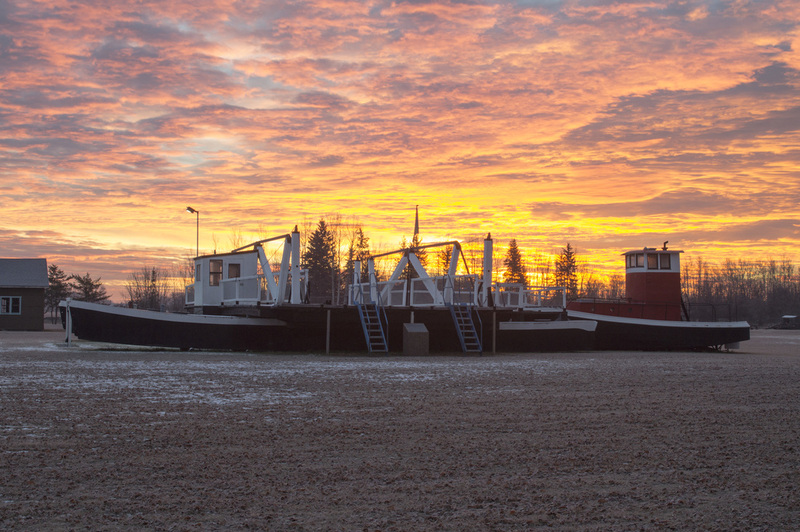 This ferry was built in 1951 for use at Dunvegan. 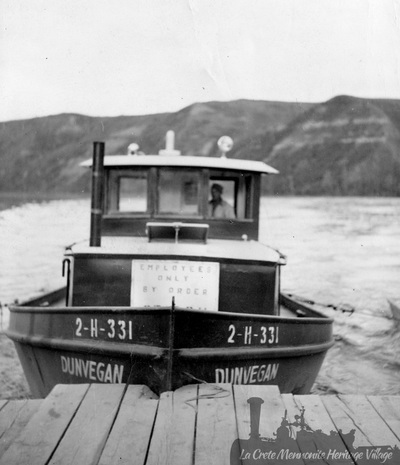 It operated there until 1961 when the Dunvegan Bridge was completed. It began service at Tompkins Landing on August 28, 1961. 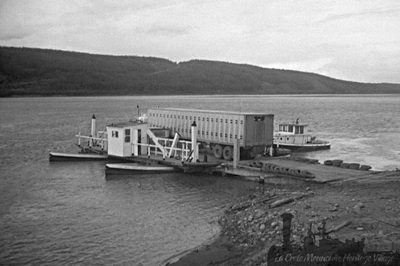 The ferry oprated there until it was replaced by the current ferry in 1987 (with the exception of 1977-78 when the hover ferry was in operation). 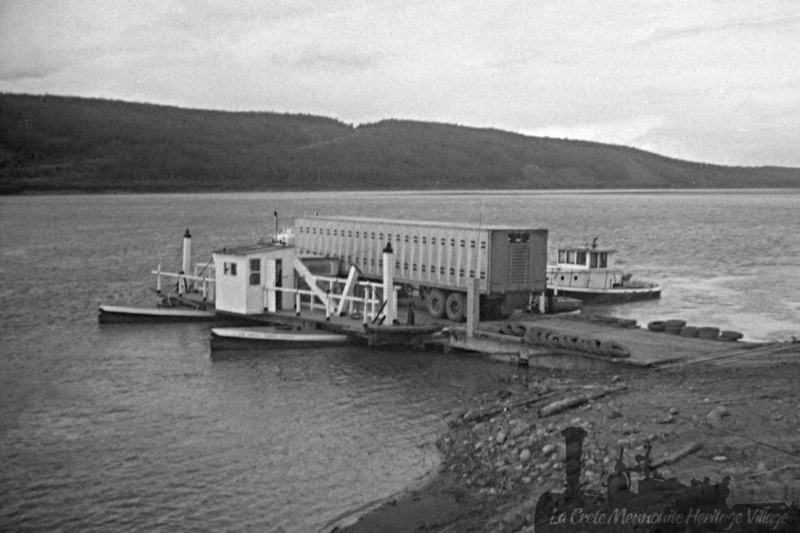 After being replaced the ferry was taken back upstream to Shaftesbury. 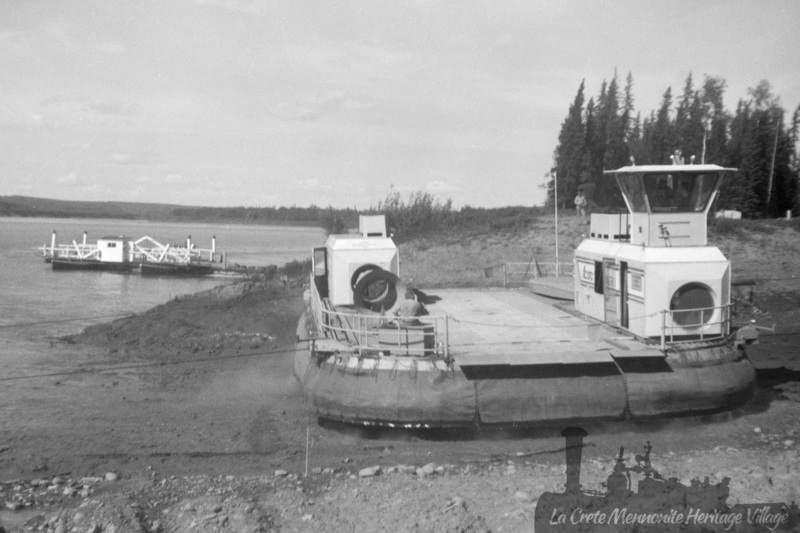 It was never used there but was dry docked and used for parts. 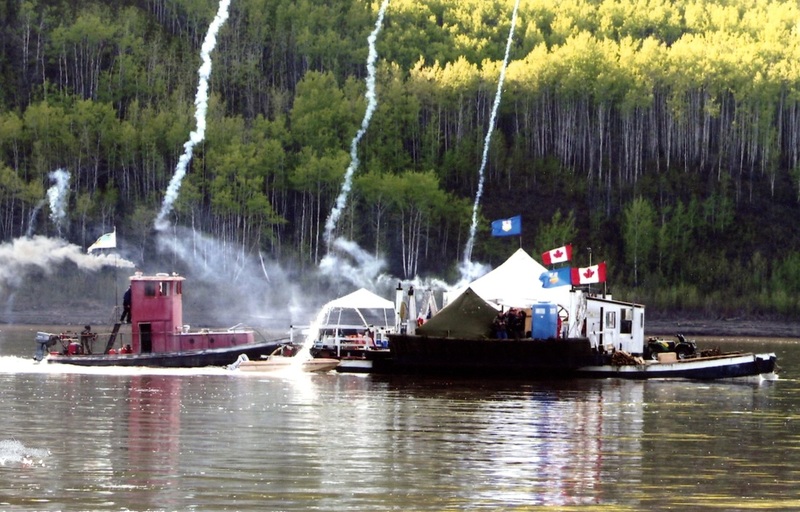 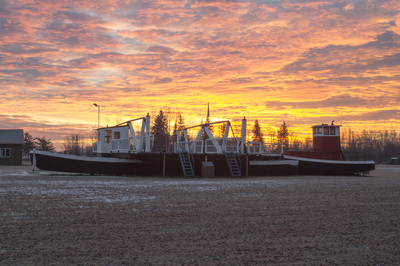 The ferry was acquired by the museum in 2007. 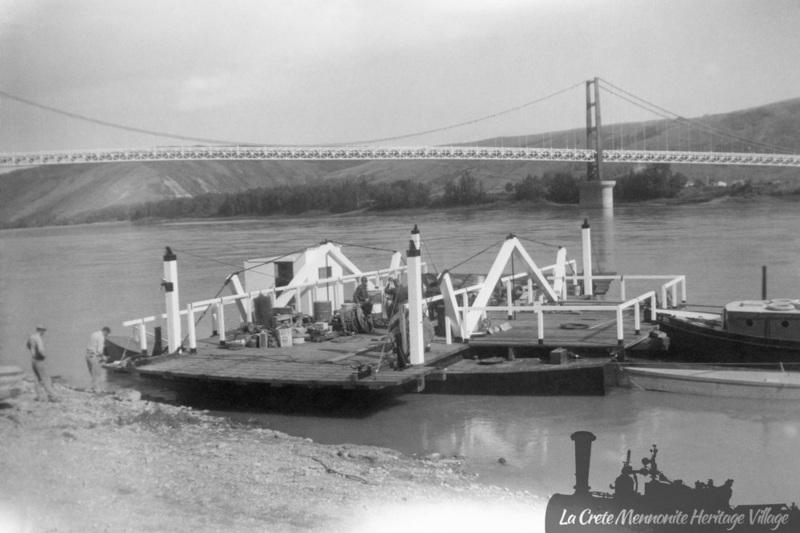 The ferry was an essential link to the outside world for La Crete.